Born 1909, Chicago, Illinois; died 1992, Boston, Massachusetts. 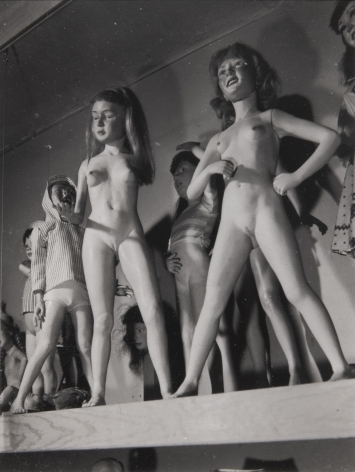 In 1957, Morton Bartlett, writing in the 25th anniversary report of Harvard’s class of 1932, referred to his private hobby as an outlet for urges that do not find expression in other channels.What those urges were, we can only speculate, but the products of that hobby have resonated strongly with viewers since they were discovered at an antiques show in 1993.
terribly naked longing that can be unsettling to the viewer, who has gained uninvited access into what appears to be a lonely realm of desire and projection. Bartlett only immersed himself in this realm during the middle years of his life, from age twenty-seven through fifty-four. Having been orphaned and adopted at age eight, he was given good educational opportunities by his new family - schooling at Phillips Exeter Academy followed by two years at Harvard. During the depression and after WWII, Bartlett shifted among a variety of jobs, settling eventually into a career as a freelance graphic designer. He shared knowledge of his hobby with a few neighbors and close friends, and even pondered their commercial possibilities if mass marketed, but never acted. 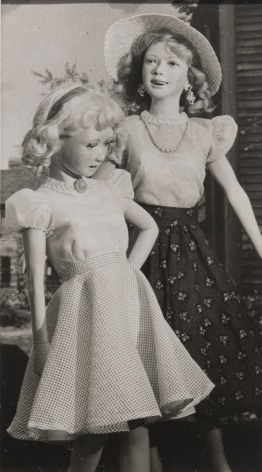 The dolls received public notice only once, in 1962, in a friend’s article about them in Yankee Magazine. 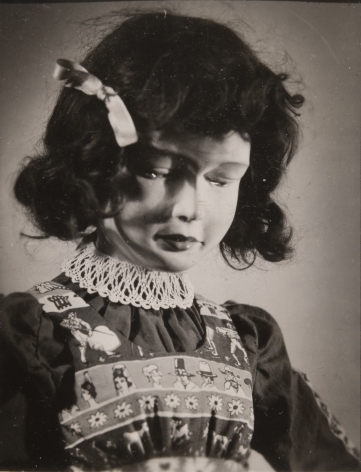 But a year later, when Bartlett was forced to move from the apartment in which they had been created, the dolls, photographs, and slides were carefully packed in crates, stored, and possibly not opened until Bartlett’s death nearly thirty years later.